The purchase of your first home is a significant financial decision, one that requires a careful analysis of the total cost of home ownership. One aspect of the total cost of owning a home is the loan costs, which will impact the total cost of homeownership for years after the closing date. Fortunately, Massachusetts first-time homebuyers have several mortgage programs to consider. The home buyer programs vary by whether there are income limits, loan limits, low down payment options, financial assistance opportunities, down payment assistance, and mortgage insurance requirements or a combination of these factors. Many of these mortgage programs are tailored to help first-time homebuyers overcome common obstacles to obtaining a home loan, such as down payment, closing costs, credit score requirements, and interest rates. The eligibility requirements and rules for the different programs may seem overwhelming to a borrower new to the Massachusetts home-buying process; however, first-time homebuyers should take the time to investigate these mortgage programs with an experienced loan officer and real estate buyer agent to see whether they can reduce the total cost of home ownership. There is more to consider other than interest rates alone, and not every borrower will qualify for every mortgage program. MassHousing supports affordable homeownership for Massachusetts residents with modest incomes. Although all MassHousing homebuyer programs have income limits, many home buyers are surprised by how much income they can earn and still qualify. An act of the Massachusetts Legislature created MassHousing in 1966 as an independent public authority, and MassHousing made its first loan in 1970. It is a self-sustaining agency, and it does not use taxpayer dollars in its programs. MassHousing has several mortgage programs, which have different features, eligibility requirements and benefits to borrowers seeking their first home loan. Borrowers must complete an approved first-time homebuyer class (also referred to as homebuyer counseling) before closing on the loan. Homebuyers should wait until they know precisely which loan program they intend to use before paying for a home-buying class. 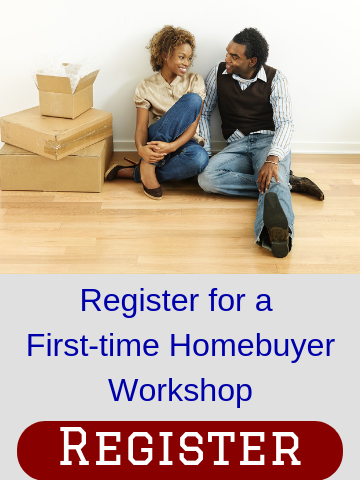 For many first-time homebuyers, a free home-buying workshop is a good way to start the home-buying process. Borrowers also are required to participate in landlord counseling before the purchase of two-to-four unit properties. MassHousing works with community banks, credit unions, and mortgage companies. Not all lenders can provide MassHousing loan products, but many lending institutions throughout Massachusetts offer MassHousing mortgages. More than 50,000 families have used a simple, straightforward MassHousing mortgage to buy their first home. MassHousing home loans have a variety of benefits for first-time homebuyers that are not available with most other loan programs, and MassHousing allows for maximum income limits as high as $145,530 (as of July 25, 2018). The income limits vary by county. The maximum income limit ($145,530) is available in Essex, Middlesex, Norfolk, Plymouth, and Suffolk counties. The income limit in Worcester County is $115,830, $116,370 in Barnstable County, and $108,810 in Bristol County. There are also mortgage loan limits based on the type of property a home buyer purchases. For single-family homes and condominiums, the maximum loan amount is $484,350 and $620,200 for a two-unit property. A loan of up to $749,650 is available for a three-unit home and $931,600 for a four-unit property. Properties must have a minimum of 600 square feet. MassHousing Mortgage loans, which have competitive interest rates and fixed-rate terms, allow for 97 percent financing without any of your cash required for the down payment on single-family homes and condominiums. In other words, the 3 percent down payment can be a gift from someone else, making it possible to buy a house or condo without substantial savings of your own. Rate locks of 30 to 75 days are available, as well as non-traditional credit considerations, such as limited credit history. Homebuyers must still meet a lender's underwriting requirements. A MassHousing Mortgage loan features MI Plus, which is mortgage insurance that helps a homeowner pay their mortgage, up to $2,000 per month, in case of a job loss for up to six months. There isn't any added cost for MI Plus protection. MassHousing has helped more than 1,000 homeowners pay their mortgage during a period of unemployment. A borrower can use the benefit any six months during the first 10 years of the mortgage, but a borrower is not eligible until six months after the closing. Mortgage insurance typically is required of borrowers that do not have 20 percent to put down as a down payment. It protects the lender in the event of a borrower foreclosure. MassHousing mortgage insurance may be less expensive on a monthly basis – without any up-front fees – than other loan programs, such as FHA loans (see below). Borrowers who earn less than or equal to the area median income are eligible for discounted mortgage insurance premiums. Borrowers can pay mortgage insurance premiums in an upfront, single premium or in a monthly premium. Single premiums may be paid by the lender, a family member, employers, municipalities, non-profits or the borrower. Single premiums not paid by the lender are refundable under a particular MassHousing refund schedule. Monthly premiums are not refundable. MassHousing mortgage interest rates may change daily, so consumers should contact a participating lender for the latest interest rate and terms. First-time homebuyers earning less than 100 percent of the average median income may qualify for the MassHousing Down Payment Assistance program, also referred to as the MassHousing Mortgage 100 program, which provides 3 percent down payment assistance up to $12,000 for single-family homes, condominiums, and planned unit developments. Multi-unit properties are not eligible for down payment assistance for MassHousing Mortgages. MassHousing provides down payment assistance in the form of a 15-year, fixed-rate 1 percent interest rate loan, which becomes due in the event of the sale or refinancing of the property before the end of the 15-year term. With a MassHousing Mortgage that only requires a 3 percent down payment, a homebuyer would not need any money to put down at closing. A borrower would still need money for closing costs; however, depending on how an offer is structured the homebuyer could receive a credit at closing to cover closing costs. To receive the full benefit of the down payment assistance program, homebuyers need a minimum credit score of 680. Borrowers with a credit score of 660 to 679 still qualify but would need a 5 percent down payment. With the 3 percent down payment assistance, the homebuyer would need to put down at closing the remaining 2 percent required. Homebuyers can earn up to $107,800 in Suffolk, Essex, Middlesex, Norfolk, and Middlesex counties and still qualify for down payment assistance. Borrowers income is limited to $80,600 in Bristol County, $85,800 in Worcester County, and $86,200 in Barnstable County. MassHousing Mortgage 100 borrowers are eligible for discounted mortgage insurance premiums. Borrowers do not have to be first-time homebuyers if they are purchasing a home in Boston, Cambridge, Chelsea, Everett, Fall River, Lawrence, Lynn, North Adams, or Somerville. First-time homebuyers must complete an approved homebuyer class before closing. Operation Welcome Home provides affordable mortgage financing, as well as closing cost and down payment assistance, to help members of the Reserves and National Guard, active-duty military, veterans, and Gold Star Families purchase a home in Massachusetts. MassHousing launched Operation Welcome Home in November 2015, and it has since made various modifications to the loan program, which has flexible underwriting standards, a fixed interest rate, and is serviced by MassHousing. Borrowers must be first-time homebuyers, unless the buyer purchases a property in Boston, Chelsea, Cambridge, Everett, Fall River, Lawrence, Lynn, North Adams, and Somerville. First-time homebuyers must complete an approved homebuyer class before closing. Borrowers also must participate in landlord counseling for the purchase of two-, three-, and four-family homes. Operation Welcome Homes has conventional loan limits up to $484,350 for a one-unit property. The program caps loan limits for two-family homes at $620,200 three-family homes at $749,650, and four-unit properties at $931,600. Borrower income limits are as high as $145,530 in many cities and towns, including Suffolk, Essex, Middlesex, Norfolk, and Plymouth counties; however, the income limits in Worcester ($115,830), Bristol ($108,810), and Barnstable ($116,370) counties are less. Operation Welcome Home allows non-spouse co-borrowers. Operation Welcome Home borrowers also can qualify for MassHousing down payment assistance for up to 3 percent of the purchase price or $12,000, whichever is less. The down payment assistance is a 15-year loan at a 1 percent interest rate. Repayment of the loan is also due upon sale or refinancing of the property before the end of the 15-year note. Unlike regular MassHousing Mortgages, Operation Welcome Home borrowers can receive down payment assistance on multi-unit dwellings. Besides coming up with money for a down payment, many first-time homebuyers struggle to save additional money for closing costs. Operation Welcome Home borrowers can take advantage of a closing cost credit for up to $2,500. The closing cost credit is in addition to MassHousing's Down Payment Assistance. MassHousing offers several mortgage insurance options for Operation Welcome Home loans. MIPlus Mortgage Payment Protection helps repay your loan in case of unemployment. The benefit will cover a borrower’s principal and interest payments up to $2,000 for up to six months. For a member of the Reserves or National Guard, activation or deployment overseas will make them eligible for the unemployment benefit as well. There also are discounted premiums available to qualified borrowers, as well as monthly and one-time premiums available. If you are buying a home in need of repairs, an Operation Welcome Home loan may be used to finance the purchase and the rehabilitation or repair of the purchased property. The primary goal of the program is to make it easier for Massachusetts veterans to obtain a loan with mostly the same features and benefits of a VA Loan. For example, the Operation Welcome Home program will make it easier to purchase a unit in a small condo development. 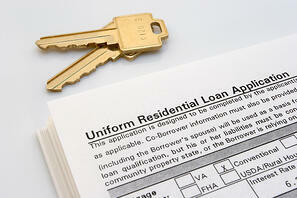 Buying a condominium with a VA loan can be more challenging than with other property types. If you are looking to purchase a Massachusetts home in need of major repair, the MassHousing Purchase and Rehabilitation loan program is an option for first-time home buyers. The mortgage will cover the purchase price of the home, as well as necessary rehabilitation costs. The program is available for one- to four-family houses, but not condominiums. The Purchase and Rehabilitation loan option has the same interest rate structure as the MassHousing Mortgage. The maximum loan amount may not exceed 97 percent of the lesser of the sales price, plus the rehabilitation costs, or the estimated appraised value after the rehabilitation. The minimum rehabilitation cost for all property types is $7,500, and all rehabilitation work must be completed by licensed contractors. Rehabilitation costs include other allowable expenses, such as inspection fees and a required contingency reserve equal to 10 percent of the total rehabilitation cost. MassHousing participating lenders may charge a fee of up to $1,500 based on the cost of the rehabilitation project. In addition, at the time of closing, the borrower will be responsible for the full mortgage monthly payment on the total principal amount. Any remaining rehabilitation funds not used will be applied towards the principle of the loan and turned into equity for the home buyer. The Massachusetts Housing Partnership, a public, non-profit affordable housing organization, offers Massachusetts first-time homebuyers who fall into the low- to moderate-income category the "ONE Mortgage" loan program. The Massachusetts Housing Partnership (MHP) and other local housing groups first collaborated in 1989 to create solutions to housing issues faced by low- to moderate-income home buyers. The result of that collaboration was the Soft Second, or "SoftSecond," Loan Program, which had a two-mortgage structure. By 2013, the SoftSecond loan program had helped more than 21,000 families purchase their first home, with more than $2.6 billion in private mortgage financing. Forty-three percent of ONE Mortgage loans are in Massachusetts Gateway Cities. To continue Soft Second's success, MHP has transformed the program from a two-mortgage structure to the One Mortgage Program. One Mortgage offers lower-income home buyers the same affordability and financial security as the SoftSecond, in a more straightforward one home loan structure. According to the Massachusetts Housing Partnerhip, "The program is successful because it breaks down barriers that used to prevent creditworthy families from buying a home: inadequate consumer education, high interest rates and fees, excessive down payment requirements, compulsory mortgage insurance, and a bias against 2- and 3-family properties. Those are barriers that affected everyone trying to buy a home in Massachusetts, especially minority families and those living in historically underserved neighborhoods." As of February 2019, 47 lenders participated in the One Mortgage Program. Those lenders offer first-time homebuyers a discounted 30-year, fixed-rate mortgage. There are not any points charged by these participating lenders. Home buyers must put down a minimum of 3 percent of the purchase price when purchasing a single-family property, condominium or two-family house. For example, a homebuyer would need a $9,000 down payment for the purchase of a $300,000 home. The borrower must occupy the property. Of the 3 percent down payment, 1.5 percent is required to be from the borrower's own savings; however, the remaining amount can be a gift or down payment assistance, as long as there is no requirement for it to be repaid. In other words, the amount of the gift or down payment assistance cannot be a second loan. For the purchase of a three-family home, the One Mortgage Programs requires a minimum down payment of 5 percent of the purchase price. The home buyer must have 3 percent of the 5 percent down payment in his or her own savings to purchase a three-family home. The One Mortgage Program does not require home buyers to purchase private mortgage insurance (PMI), sometimes just referred to as mortgage insurance or MI. Not having to obtain costly PMI saves a home buyer hundreds of dollars every month. Conventional loans require PMI until the borrower reaches 20 percent in equity, which can take several years to reach. Presently, FHA loans require PMI for the life of the loan (see below). Without PMI payments every month, home buyers save thousands of dollars over the first several years of the loan alone. Income eligible One Mortgage Program first-time homebuyers may also qualify for a subsidized monthly payment in the initial years of ownership. The state-funded interest subsidy is designed to decrease your monthly payments over the first seven years, increase your purchasing power, and help you qualify for the ONE Mortgage if you don’t otherwise. For borrowers to qualify for a subsidy, household income must fall below 80% Area Median Income (AMI) for the community in which you are purchasing, and you must demonstrate financial need. Borrowers who have a down payment greater than 20 percent of the purchase price and borrowers who are purchasing three-family properties are not eligible for subsidy. The interest subsidy is automatically wrapped into your ONE Mortgage application, and there is no need to apply for it separately. Upon closing your loan, your lender will arrange to have your interest subsidy applied to your account every month. Borrowers do need to pay back the subsidy. The interest subsidy is secured by a second mortgage held by MHP and is recapturable upon sale or transfer of the property. The subsidy mortgage term is 30 years, and borrowers pay 0 percent interest upon repayment. 1. The borrower must be a first-time home buyer, which is defined as someone who has not owned a home in the three years prior to applying for the One Mortgage Program. 2. The borrower must complete an approved pre-purchase homebuyer education class. The classes are offered in dozens of locations around the state. Some organizations offer classes online. A mortgage professional or your buyer agent will be able to assist with information about available classes. By all means, attend a free home-buying workshop to get started; however, it is strongly suggested that you not pay for a required homebuyer class before you know exactly which loan program your lender says you qualify for. 3. Home buyers must meet household income guidelines for the program. The income limits as of April 2018 vary by community and household size. Borrowers purchasing within the City of Boston are required to obtain an "Income Eligibility Certificate" from the Massachusetts Affordable Housing Alliance (MAHA) before an MHP reservation is issued. Borrowers whose total household income does not exceed 100 percent of area median income qualify for the One Mortgage Program, and those borrowers with income below 80 percent of the area median income may be eligible for an MHP subsidy. For example, a household of three purchasing in Quincy, MA may have a household income up to $97,020. Suffolk County (Boston, Chelsea, Revere, Winthrop) has the same income limits. If that same family/household of three has a household income below $77,616, they may be eligible for a subsidy. The income limit for a four-person household in North Attleboro is $80,600, in Braintree, it's $107,800, and in Tewksbury, it's $105,400. A one-person household can make as much as $66,500 in Haverhill and $75,460 in Stoughton. A two-person household in Natick can earn $86,240 while the same household in Bridgewater in capped at $67,280. After closing, One Mortgage Program home buyers must complete a post-purchase homeowner workshop called HomeSafe. Home buyers have one year after the closing on their home to complete the workshop. Topics discussed at the HomeSafe workshop include home maintenance and repairs, insurance, lead paint, budgeting, homeowner discounts, rehab grants, tenant management and other topics of value to homeowners. The main benefits of FHA loans, which are insured by the Federal Housing Administration, are the low down payment, lenient credit score requirements and the acceptance of a higher debt-to-income ratio. You do not have to be a first-time home buyer to obtain a FHA loan, and FHA loans do not have any income limits. In addition, borrowers, if they qualify, may be able to purchase a more expensive house using a FHA loan than allowed with the MassHousing mortgages and the Massachusetts Housing Partnership ONE Mortgage Program, both of which have loan limits based on property type. Borrowers are permitted to purchase single-family homes, condos and multi-family homes with FHA loans. The Federal Housing Administration does not actually lend any money, so home buyers must use a FHA participating lender. FHA allows down payments of as little as 3.5 percent, all of which may be a gift; however, any reserve funds a lender may require cannot be from a gift. Although FHA allows for credit scores of 580 or higher for 96.5 percent financing and 500 to 579 for 90 percent financing, most lenders will only provide FHA loans to borrowers with a credit score of 620 or higher in order for the loans to be eligible for sale in the secondary mortgage market. What makes FHA loans less attractive than other mortgages is that the total cost of borrowing is higher than other first-time home buyer mortgage options. First, borrowers must pay an "Up Front Mortgage Insurance Premium," which is 1.75 percent of the loan. For example, a $300,000 loan will require an up-front payment, which is usually rolled into the loan amount, of $5,250. In addition, FHA loans require an annual insurance premium that is collected in monthly installments, and FHA mortgage insurance, despite a recent reduction (effective January 27, 2017) in MI costs, typically costs more than mortgage insurance for other types of loans. What's the least attractive part of a FHA loan? Since June 3, 2013, borrowers must pay the mortgage insurance for the life of the loan, no matter how much equity the buyer builds up in the property. Typically, once an homeowner can show that the remaining mortgage amount is 80 percent or less of the current value, the borrower no longer has to pay mortgage insurance, but, with FHA loans, the mortgage insurance is permanent. For Massachusetts first-time home buyers with credit scores of 680 or higher, there are other mortgage programs available that are less expensive than FHA. For those home buyers that have income that exceeds the limits of the MassHousing and Massachusetts Housing Partnership mortgages, even conventional loans that require a minimum 5 percent down payment and mortgage insurance likely will be less expensive than FHA for the borrower. There are some other loan programs that are not just for first-time home buyers that Massachusetts home buyers may want to consider. The U.S. Veterans Administration provides a home loan guaranty benefit, the U.S. Department of Agriculture has what are referred to as rural development home loans, and local housing authorities and nonprofit organizations have various mortgage down payment assistance and grant programs. The eligibility requirements for the above-mentioned programs are narrow, making most home buyers ineligible. The U.S. Veterans Administration helps service members, veterans and eligible surviving spouses become homeowners by providing a home loan guaranty benefit and other housing-related programs to buy, build, repair, retain, or adapt a home for "personal occupancy." VA Home Loans are provided by private lenders, such as banks and mortgage companies; however, the VA guarantees a portion of the loan, enabling the lender to provide more favorable terms. Veterans often can purchase a home without any down payment and without mortgage insurance. To be eligible, a borrower must have a good credit score, sufficient income, a valid Certificate of Eligibility (COE), and meet certain service requirements. The length of a borrower's service or service commitment and/or duty status may determine his or her eligibility for specific home loan benefits. The United States Department of Agriculture has what are referred to as rural development home loans. USDA loans have income restrictions, and the house must be located in designated rural areas. There are a number of locations in Massachusetts that are in USDA eligible rural areas. USDA rural development loans allow for 100 percent financing, and are available through participating lenders. Qualifying debt-to-income ratios are 29 percent for housing costs and 41 percent for total debt. Lenders may request an exception to exceed these ratios when strong compensating factors are identified. There isn't any maximum purchase price, and home buyers may purchase a variety of property types, including existing homes, new construction, modular homes, planned unit developments (PUD's), eligible condominiums and new manufactured homes. The Home Possible Advantage mortgage only requires a 3 percent down payment and offers a fix-rate, conventional mortgage for first-time homebuyers, as well as other qualified borrowers with limited down payment savings. Homebuyers must meet minimum credit score requirements. The entire 3 percent down payment can come from personal funds, local grant programs or gift funds. A Home Possible Advantage mortgage can be used to purchase a single-family home, a condominium and for a refinance of an existing mortgage, without any "cash out" at the time of the refinance. Fixed-rate mortgage loans are available in 15-, 20- and 30-year terms. You must use the home as your primary residence, and you may not have any ownership interest in another residential property as of the date of the note, which is the contract between the lender and the borrower. For example, a search on August 24, 2016, on Freddie Mac's eligibility tool indicated that there was not any income limit for Lawrence, Massachusetts or Boston's East Boston neighborhood; however, Plymouth, Massachusetts and Boston's South End neighborhood both had an income limit of $126,900. The HomeReady mortgage only requires a 3 percent down payment and offers a fixed-rate, conventional mortgage for first-time homebuyers, as well as other qualified low- to moderate-income borrowers with limited down payment funds. Gift funds can be used as a source of funds for down payment and closing costs, with no minimum contribution required from the borrower’s own funds. A HomeReady mortgage can be used to purchase a single-family home, a condominium or multi-unit dwelling. Fixed-rate mortgage loans are available in 10-, 15-, 20- and 30-year terms, and there are adjustable-rate mortgage options too. You must use the home as your primary residence, but unlike other loan programs, you may have any interest in another residential property. Homebuyers must participate in an approved borrower education program, which your Massachusetts lender can help identify, to qualify for the HomeReady mortgage. One option is to participate in the online Framework homeownership education course. The Framework cost is $75. The HomeReady mortgage does not have income limits for homes located in low-income census tracts. Fannie Mae provides an online eligibility tool where consumers and lenders can enter property addresses to determine what if any, income limits may be in place for a particular address. In Massachusetts, there are 1,478 census tracts, and 33 percent do not have income limits. Non-borrower household income is not counted toward income eligibility limits. For example, a search on December 1, 2016, on Fannie Mae's eligibility tool appears to indicate that there was not any income limit for most of Boston's East Boston neighborhood; however, in areas outside of the 484 low-income census tracts, the income limit appears to be $94,000 for most of the Greater Boston area. Borrowers should check income limits for specific addresses. First-time home buyers will want to check with local housing authorities in the cities and towns that they want to buy a home in to see whether there may be home buyer down payment assistance and grants available to borrowers that qualify. These types of mortgage programs change often, so home buyers will want to obtain information directly from the source of such programs because information online and from other sources may become outdated quickly. These programs are extremely limited and usually only made available to low-income homebuyers. The Massachusetts Department of Housing and Community Development annually awards funds to certain communities and not-for-profit agencies that operate local first-time home buyer programs. Funds are used to offer down payments and closing costs assistance loans to first-time home buyers that are income eligible. Some local banks offer attractive loans to first-time home buyers that plan to purchase in a particular community or communities. First-time home buyers may want to schedule an in-person meeting with a real estate buyer agent who is willing to take the time to explain the home-buying process and various mortgage options available. No home buyer wants to pay mortgage insurance (MI), commonly referred to as private mortgage insurance or PMI, but saving enough money for a 20 percent down payment to avoid PMI, especially in the high-cost real estate markets, is easier said than done. All home buyers, not just first-time homebuyers, have an alternative to loan programs that place income and other limitations on borrowers. Lender paid mortgage insurance (LPMI) is an option for Massachusetts home buyers who do not have enough money saved for the 20 percent down payment needed to avoid mortgage insurance, but want to reduce their monthly mortgage payments. With an LPMI option, a borrower's mortgage lender pays the mortgage insurance premium upfront in a lump sum and passes on the cost to the borrower in the form of a higher interest rate. The interest rate for LPMI loans are often one-quarter to one-half a percent higher, but interest rates sometimes can be outside of that range, either lower or higher. The borrower then does not have to make monthly mortgage insurance payments. Most home buyers don’t realize that even with the slightly higher interest rate that comes with an LPMI loan, the monthly mortgage payment may be lower than what the amount would be with the standard monthly PMI cost. Private mortgage insurance, both regular and lender-paid, gets more expensive with higher loan-to-value ratios or lower credit scores. LPMI also helps borrowers trying to stretch their buying power. A borrower typically qualifies for a slightly larger loan amount with an LPMI mortgage than with a monthly PMI mortgage because of the lower monthly payment. Another appealing feature of LPMI is that since borrowers are paying a higher interest rate, and mortgage interest may be tax deductible on federal income taxes, a borrower may have a larger tax deduction than he or she would with a PMI loan. Unfortunately, PMI is no longer an IRS allowable deduction so by rolling the cost of the mortgage insurance into the interest rate a borrower may have a bigger tax deduction. Homeowners should consult with their accountant or tax adviser. Recent changes in the tax could limit this deduction depending on other factors.